Technically, not …As a blue moon is commonly thought to be the 2nd full moon in the same month, which is rare, thus the expression. 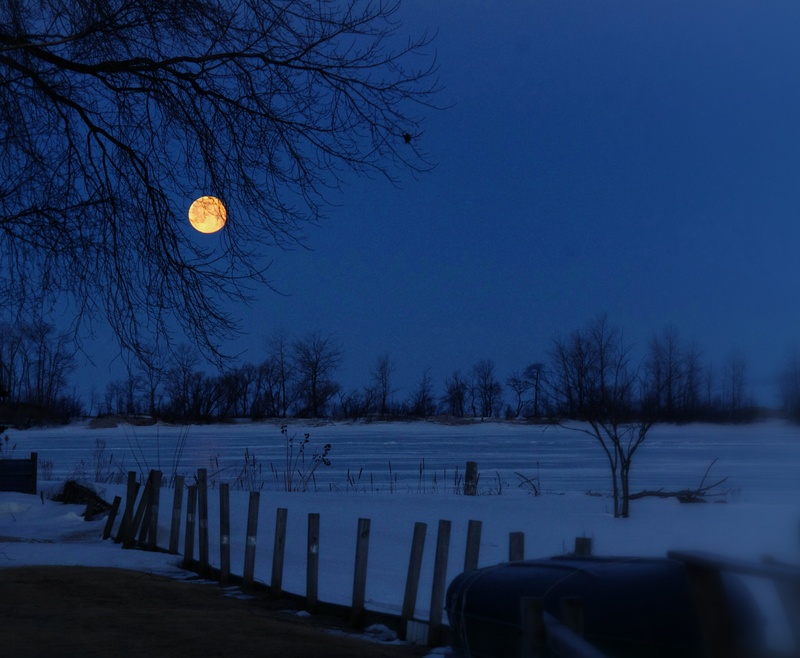 According to The Farmers Almanac, and the technical definition “blue moon” is the third full moon in any period between either solstice and equinox, or between equinox and solstice, which contains four full moons. There is not one in 2014, so these will have to do. We will not view the real thing until 2016. March is actually a worm moon, April a pink moon. Summer brings us a flower, strawberry, buck and sturgeon moon. Although not as rare as rare as the technical term, the chance at this view is still qualifies as a rarity. Only once a month, clear skies, up early enough to capture it’s decent, and a decent shot, the moon, not easy to get. 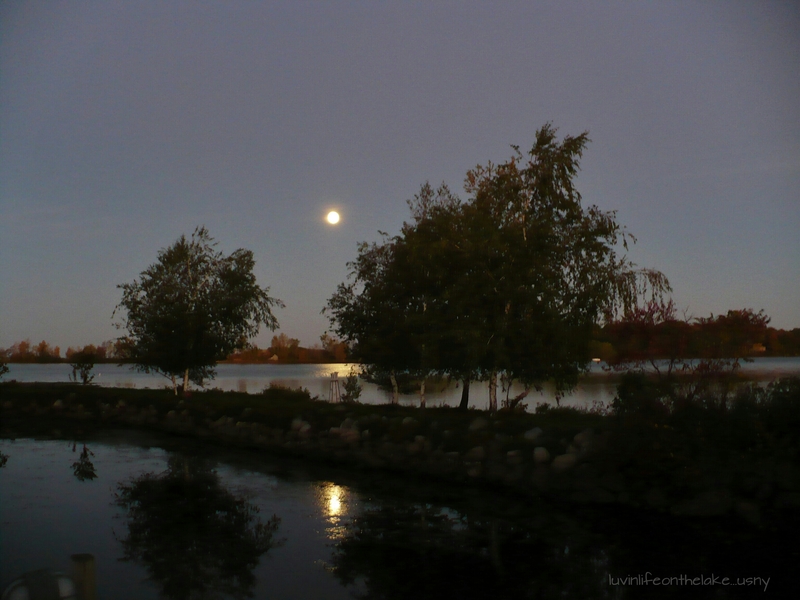 Moon over my view…luvin life on the lake…usny. 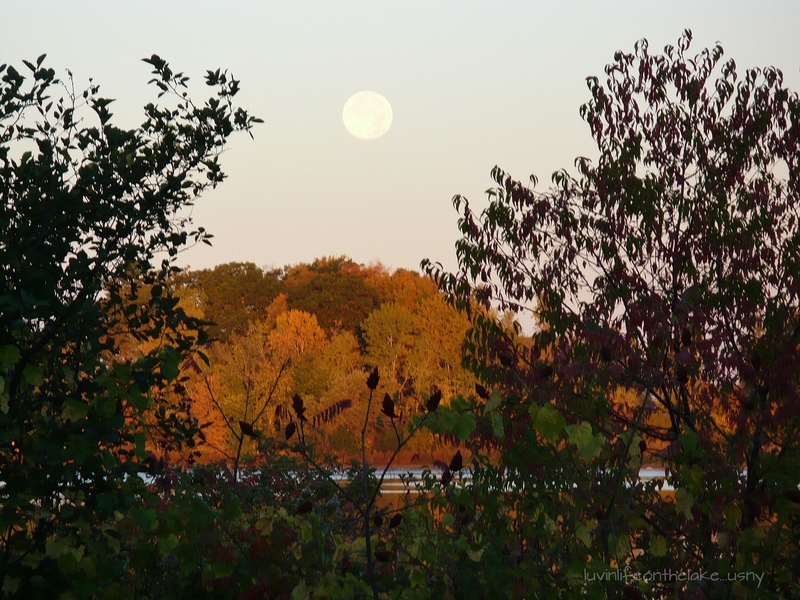 This entry was posted in The View and tagged blue moon, full moon, moon. Bookmark the permalink. 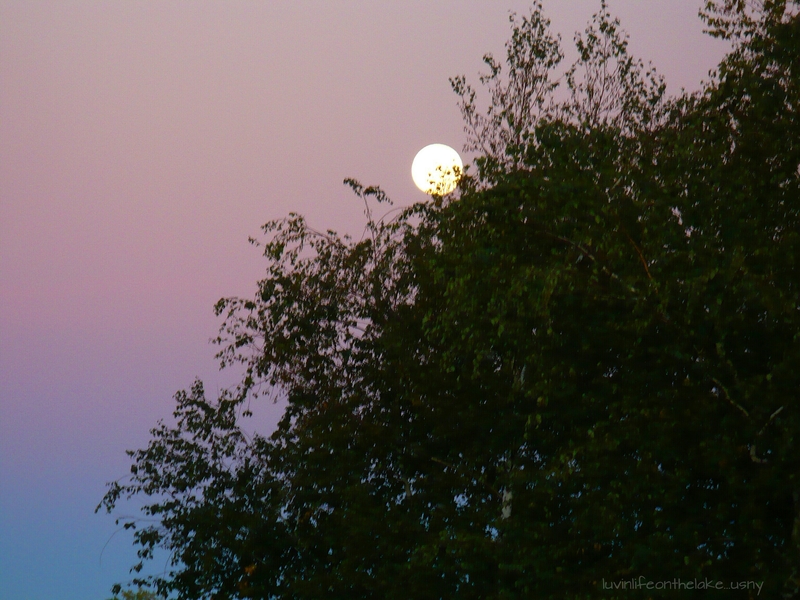 Interesting & great photos – a full moon is so beautiful. Merci, too, for visiting and following my blog. Bon dimanche!